Good Reasons Support the Use of Background Checks in the Hiring Process. Many employers run background checks on job applicants before they make an employment offer. Doing so enables such employers to confirm the truthfulness and accuracy of background information provided by job applicants, such as work history, education, criminal record, financial history, medical history, or use of social media. Some have no choice, because a law requires them to conduct, at least a criminal background check, before hiring an applicant to work in a job in which she or he would interact directly with any one or more of children, the elderly, or disabled persons. 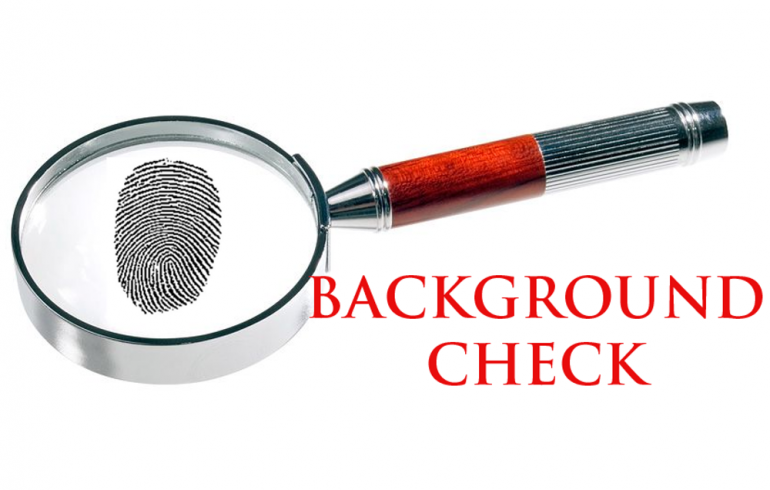 Even without such a legal requirement, employers use background checks for good reasons. Some use them to confirm the absence of an applicant’s violent propensities to avoid liability for negligent hiring. Others employ background checks to verify an applicant’s stated academic and work histories to cull applicants that provide fraudulent credentials. Still other employers run background checks to reduce the likelihood of hiring candidates whose past employment or activities could embarrass the employer if it hired them and their past became publicly known in a context associating them with the employer. The Fair Credit Reporting Act Governs Background Checks Procured through Vendors. Most employers that use background checks outsource the gathering of an applicant’s background information to a third party vendor. When they do, the Fair Credit Reporting Act (“FCRA”) imposes a number of obligations on them. The FCRA calls such background reports “consumer reports … for employment purposes.” It further requires an employer to make a written disclosure of its intention to obtain such a consumer report on the applicant to her or him. The employer must also get the applicant’s written authorization to do so before the employer hires a vendor to produce a consumer report regarding a particular applicant. The FRCA specifically limits the disclosure statement to “a document that consists solely of the disclosure.” It, however, includes an exception to that limitation for an applicant’s authorization form that allows it to be a part of the same document as the required disclosure statement. The FCRA also allows job applicants to sue employers that violate its requirements regarding the procuring and using of consumer reports. Such applicants may hold employers liable for negligent violations. If, however, an employer commits a willful violation of the FCRA, then an applicant may recover statutory damages ranging from $100 to $1,000, punitive damages, and both attorneys’ fees and costs. These remedies have begotten a number of class action lawsuits against employers, alleging violations of the FCRA. Federal trial courts have reached conflicting results when these class actions required them to decide whether documents that included not only both a disclosure statement and an authorization form, but also other provisions, such as a release of claims, violated the FCRA. A Recent U.S. Court of Appeals Decision Deserves the Attention of Employers that Hire Vendors to Do Background Checks. Recently, the United States Court of Appeals for the Ninth Circuit became the first appellate court to rule on the Act’s disclosure and authorization provisions in Syed v. M-I, LLC. Decision. In this case, the employer gave a form document entitled “Pre-employment Disclosure Release” to a job applicant, Sarmad Syed (“Syed”). The form stated that the employer could gather information about Syed’s credit history and other information to use as a basis for its decision as to whether it would hire him. It also authorized the employer to obtain a consumer report. Finally, the form said that Syed released the employer and “all parties” relying on the form or the information obtained by its use from all liability. Syed signed the form. About two years after Syed signed the form, he reviewed the employer’s personnel file for him. Syed noticed that the employer had obtained a consumer report about him during the hiring process. He then sued the employer, alleging that its inclusion of the liability release on the form that disclosed the employer’s intention to obtain a consumer report regarding him and by which he authorized the employer to do so violated the FCRA. Basically, his lawsuit accused the employer’s form designed to satisfy its disclosure and authorization obligations under the FCRA of containing too much information. Syed brought his suit as a class action on behalf himself and anyone for whom the employer procured a consumer report for employment purposes after she or he signed a form like the one he had signed within the two-year period of the FCRA’s statute of limitations. He sought statutory damages, punitive damages, and both attorneys’ fees and costs. The trial court dismissed Syed’s lawsuit. On appeal, the Ninth Circuit reversed the trial court. It rejected the employer’s argument that the FCRA stated conflicting requirements, which made those requirements unenforceable. The employer had urged the court to find that the FCRA’s provisions internally inconsistent, because it limited mandatory disclosure statements to one document, but simultaneously created an exception to that requirement that allowed the same document to contain the applicant’s authorization for the employer to procure a consumer report. The appellate court not only upheld the FCRA’s provisions regarding the use of the same document for disclosures and authorizations, but it also held that the employer’s use of a non-compliant form had involved a willful violation of the FCRA as a matter of law. To reach that conclusion, the court held that the employer had interpreted the FCRA unreasonably in view of its plain text, despite the conflicting outcomes of cases litigating the same issues in a number of trial courts in the past few years. In other words, any documents given to job applicants that contain more than a disclosure statement and an authorization form violate the FCRA and expose the employer to punitive damages automatically. To Avoid Class Actions and Punitive Damages, Put No More Than Disclosure Statements and Authorization Forms in One Document. Employers everywhere need to take notice of this decision. If they hire vendors to provide consumer reports during their hiring process, employers must review the forms that they use to provide the FCRA’s required disclosure statement and to obtain applicants’ authorizations for the employer to procure such reports. Permissible forms include disclosure statements in a single document, authorization forms in a single document, or one document that includes both the required disclosure statement and authorization form. If the employer uses separate disclosure statements and authorization forms, then it must have applicants sign and date both of them and keep them both for the longer of two years or, if the employer hires the applicant and she or he remains an employee for more than two years for the duration of her or his employment plus, at least, two years. Employers may require applicants to sign a release of liability that waives all of their claims based on the employer’s obtaining consumer reports and using the information in such reports, among other things. Any such liability release, however, must involve a document distinct from the one (or two) that provide the written disclosure statement and written authorization to obtain a consumer report that the FCRA requires.